[Review] To Rome With Love (Woody Allen, 2012) | Shut Up Hamish! Screw the critics. Woody Allen’s 2012 effort To Rome With Love is a frequently amusing and satisfying entry into the neurotic auteur’s catalogue. I enjoyed it far more than many of Allen’s other recent releases such as Scoop (2006) or even the comparatively well praised Vicki Christina Barcelona (2008). 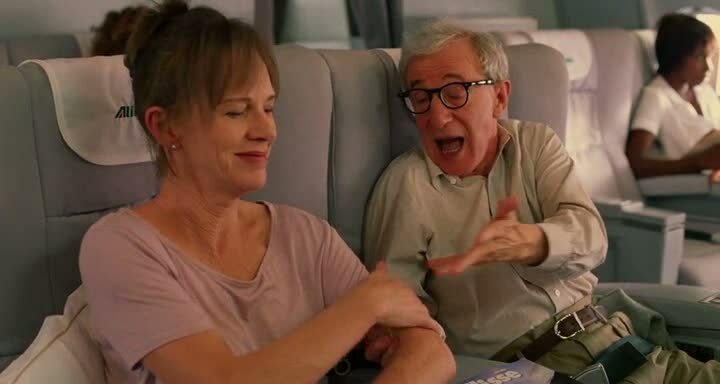 While not quite as strong as 2011’s Midnight In Paris, it still delivers some very entertaining stories and genuine laughs and proves that moving into his 77th year, Allen has great cinema left in him yet. The film contains four different stories, as the title suggests all set in Rome and focusing on many of Allen’s favourite topics including love, affairs, celebrity and art. All four stories intersect throughout the film although are mostly separate other than the setting. Opening on a busy Italian intersection, we are greeted by a traffic warden, or breaks the fourth wall in order to introduce himself and the stories we are about to see. We are introduced to Jerry (Woody Allen), a retired music producer who becomes obsessed with a mortician who has a great singing voice, but only when he sings in the shower; two newly weds Antonio and Milly (Alessandro Tiberi and Alessandra Mastronardi) whose relationship is tested by some serendipitous occurrences on the streets of Rome; regular family man Leopoldo (Roberto Benigni) awakes one day to find he is a celebrity, for no understandable reason and lastly architect John (Alec Baldwin) who while exploring his old haunts in Rome runs into Jack (Jesse Eisenberg),a student architect living in Rome who seems to be living a very similar youth to John and who falls in love with his girlfriend Sally’s (Greta Gerwig) visiting friend, out of work actor Monika (Ellen Page). Woody Allen remained brilliant as music producer Jerry, a man probably not to dissimilar to himself, as he cracked characteristic one-liners and obsessively tried to keep busy, as in the words of his wife (played by Judy Davis) “You equate retirement with death.” It was great to see him back on screen and in a much strong role than the magician of Scoop. The story of the man who can only sing in the shower was classic Allen farce and led itself to some hilarious set-pieces. 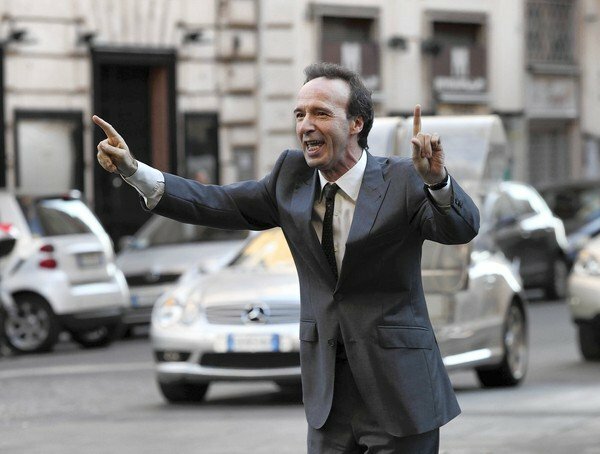 As the did the story of truly overnight celebrity Leopoldo, played brilliantly from academy award winner Roberto Benigni. The story allows Allen to share with the audience some more of his always entertaining insights on life and in particular the lives of the famous as opposed to the lives of the mundane. The star of the story of the newly weds is Penelope Cruz, who plays prostitute Anna forced to take on the role of Antonio’s wife Milly for one afternoon (you’ll have to watch to find out why). Allen always writes a good prostitute (Mira Sorvino as Linda Ash in Mighty Aphrodite for one example) and this is up there with the best of them, as Anna teaches Antonio a thing or two about not being a prude. Alessandra Mastronardi is also great as Milly, the supposedly innocent wife of Antonio who finds more than she’s looking for after getting lost in Rome. The film was nicely shot by Darius Khondji, the man who also provided cinematography for Midnight In Paris, presenting an appealing view of the streets and buildings of Rome in all their historic glory. There was a dynamic range of shot types from the static, to the handheld and also dolly-esque tracking shots which kept things interesting from a visual point of view. Each story contained varied settings, ranging from offices, restaurants and houses to the monuments such as the Colosseum and other ruins of ancient Rome. Italian critics claimed the film showed Rome from an outsider perspective, which it probably does and not being from Rome I had no problem with this, the place looked beautiful and gave Allen all the locations he needed to write interesting stories. Not all was perfect however. The story featuring Alec Baldwin as architect John felt clunky, with him appearing as more of a narrator or the inner-voice of Jesse Eisenburg’s character Jack than a tangible character. It was almost as if John was just looking back over his past and that the story of Jack doesn’t take place except inside John’s mind. This is never really explained or executed as well as it could have been and while I appreciate Allen trying interesting and original ideas, he’s certainly executed his stories better in the past. Jesse Eisenburg was great in spite of the muddled story telling, as was his object-of-obession played by Ellen Page. One lesser tale out of three doesn’t make it a bad film in my opinion. All in all, well worth a watch and don’t let the critic reviews or the films low score on cinema aggregate websites such as Rotten Tomatoes and IMDB put you off. It’s funny, heartfelt and offers interesting things to think about afterwards, which you can usually count on an Allen film to do. Being set in Rome doesn’t hurt the film either and allows Allen to use some great actors such as Roberto Benigni. Thankfully Allen is keeping up his film-a-year policy and we won’t have to wait long for his new film, Blue Jasmine (unless you live in New Zealand) which Alec Baldwin returns in and is set back in the USA.